Technology is constantly changing, Society as we know depends on this fact. That which we take for granted today would have been the stuff of science fiction as little as fifty years ago. In the early years of the twenty first century, it is computers and the Internet that have captured the public imagination, and found their way into not just the working environments, but increasingly into the domestic spaces. In this modern society, if we are not capable to cope up with these changes than we are not going to stand or survive anywhere in this technical world. Today there is no place for errors, so as to make a system more effective and efficient we need such technology where error prone chances must be least. In the scenario of this project, we are required to develop a web-based application on Job Portal Management System. In this time of recession where everyone, is either experienced or fresher, is in search for a job. This job portal can prove to be very helpful since it allows users of different profile to upload their CVs, search job on the basis of their qualification. Every user can access through user id and apply for multiple jobs at a time. Viewing available jobs, or applying for the job at the agency can be done for which jobseekers has to go to the agency and check the available jobs at the agency. Job seekers check the list of jobs available and apply the job. Then the agency will show available jobs for the job seeker for his qualifications and then updates the jobs database. 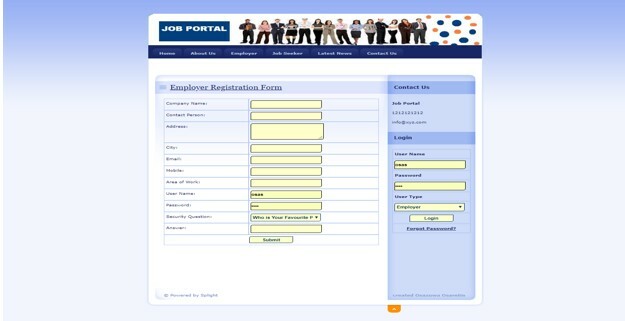 The developed Job Portal management system is web-based which Requires Employee Registration & Profiles, Job Search, Employer Registration & Profiles, and Subscription Option for both Employee and Employer etc. 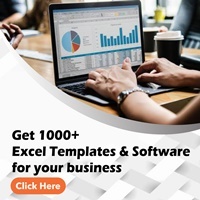 Employer can add Own Profile and post jobs and Job Seeker can Search Jobs based on Geographical Area (Country, State, and City), Qualification, and Company wise or on the Basis of Experience and Expertise wise. The aims and objective of the application is to develop a system which job applicants’ and recruiters can communicate with each other. An Online Job Portal is an application where the job seekers can register themselves at the website and search jobs which are suitable for them where as the employers register with the website and put up jobs which are vacant at their company. 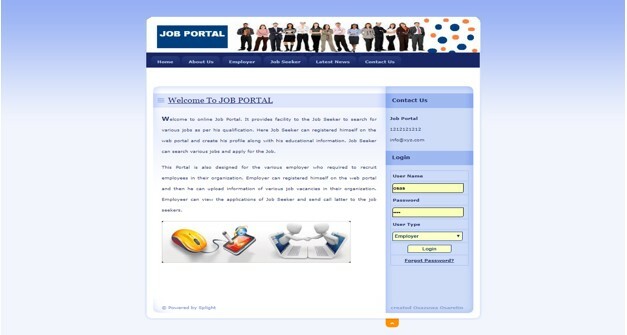 The Online Job Portal System is a package to be used by agencies to improve the efficiency of business. The system provides jobs catalogue and information to members and helps them decide on the jobs to apply. The Admin and employers can keep the jobs catalogue updated all the time so that the Job seekers get the updated information all the time. Applicants were required to search through print and visual media for opportunities, most times this jobs were limited to the applicant’s location, Application were submitted using the conventional methods which weren’t effective and efficient based on loss of document during transits and many more. The old system approach was tedious and requires much effort and resources, most times Employers need to advertise the vacancies and sort all applicants’ details, conduct selections procedures based on qualifications. The purpose of the study is to solve and develop an online Job Portal where applicants easily find jobs and employer can find suitable candidates for the jobs. Maintain Job Posting details and generate various reports. Chapter Two reviews the related literature under the following sub-headings: Online Job System, the review of the site, Implementation of the new mode of searching and applying for jobs, etc. Unavailability of Study Materials- had slight problems with finding materials to use and carry out this project, had to source outside the school library. Time- combining my academics with this research work was a major limitation, since the semester has much school activities. Refers to someone who has been the subject of a graduation, namely, someone who has completed the requirements of an academic degree. A company, abbreviated as co., is a legal entity made up of an association of people, be they natural, legal, or a mixture of both, for carrying on a commercial or industrial enterprise. Recruitment refers to the overall process of attracting, shortlisting, selecting and appointing suitable candidates for jobs within an organization. A person who dispenses or administers something. An internet site providing access or links to other sites. A person who makes a formal application for something, especially a job. A number of related items of information which are handled as a unit.